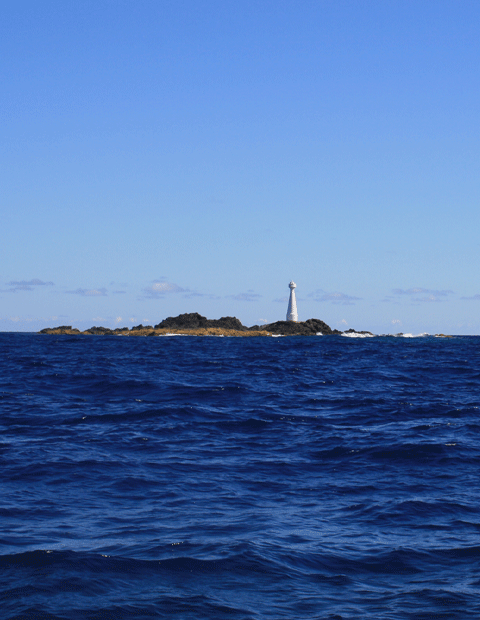 Generally our dive sites are reached by boat (8,40m RIB + 6,90 RIB). 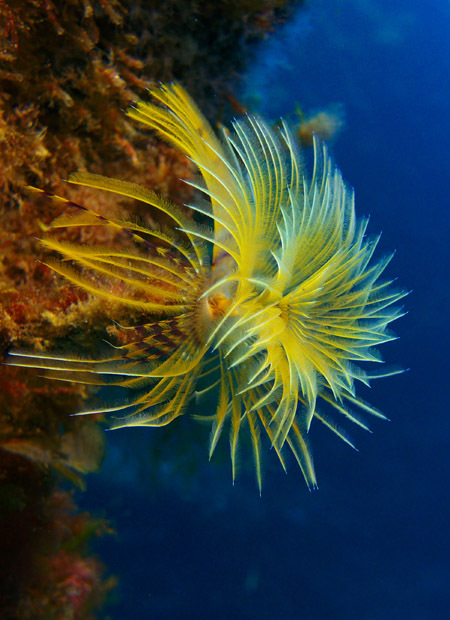 Shore dives are also possible, but these dive sites are suitable for inexperienced divers or alternative dive sites in case of bad weather when it’s not possible going out by boat. 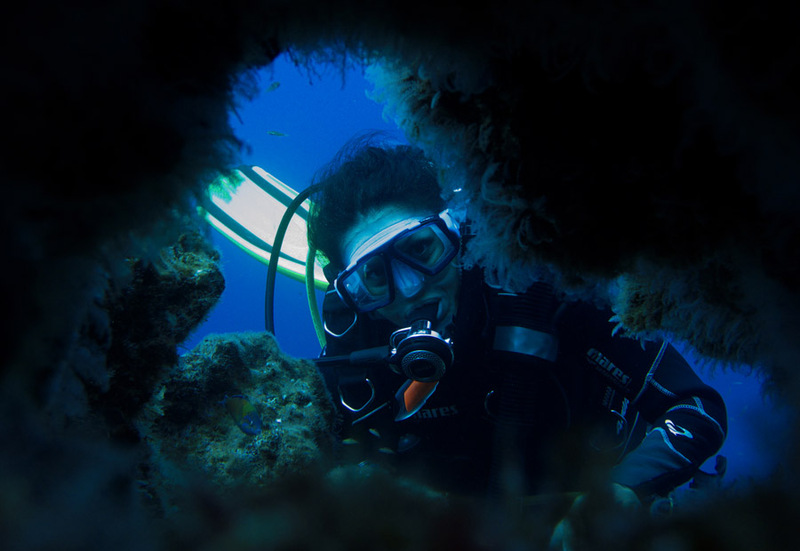 We are the only dive center on Santa Maria, that offers more than 60 dive sites – among these we still have some „hidden secrets“ like smaller caves and caverns. visibility average 20 – 40m, at times up to 60m! 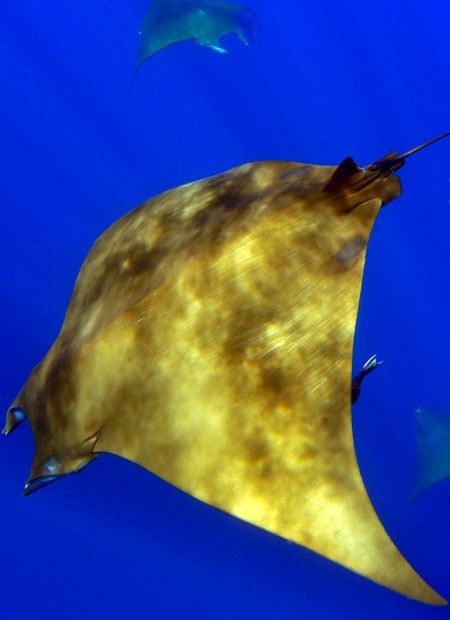 Formigas – 20 nautical miles off the shore of São Lourenço in the open sea, one of the most popular dive site areas in the Atlantic Ocean – for big-stuff sightings! Dollabarat – three nautical miles next to „Formigas“. A seamount that looms from several 100m up to 4m – another site for mainly big-stuff! 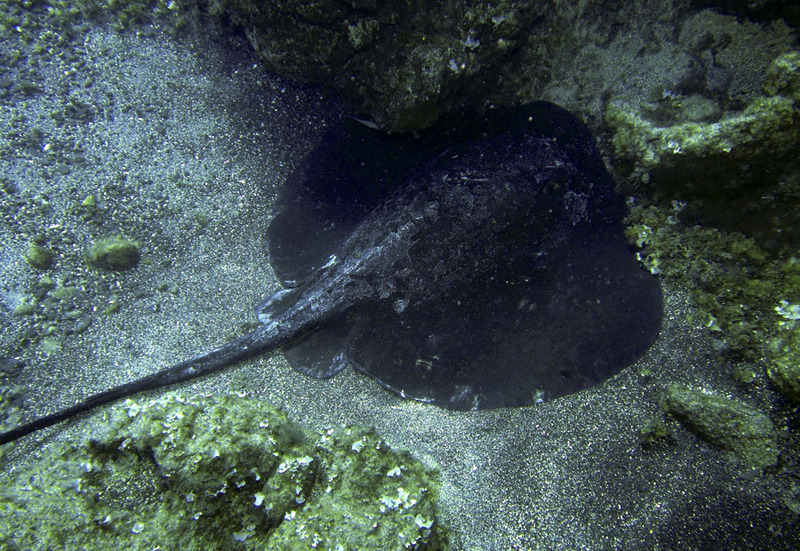 “Pedrinha” another marine reserve and highlight, only 10 minutes by boat from Vila do Porto marina. Several huge boulders that can show the whole marine life of the Atlantc Ocean. Small nudibranches, different kind of crabs, but also barracudas, groupers, different kind of moray eels and makarels and from time to time Mobula or Manta rays and also wahoos can show up. Even the big oceanic sunfish (Mola mola) was seen here. 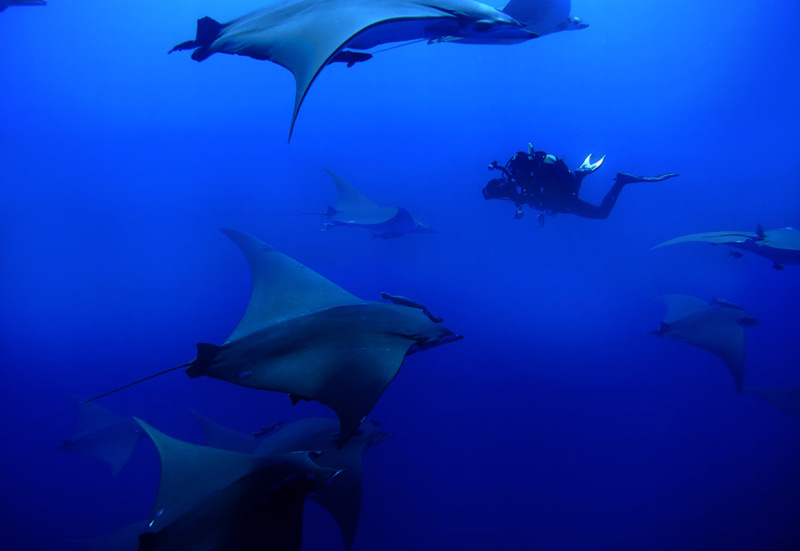 Definately a must-do divesite during you vacations on Santa Maria. “Baixa da Maia” also a marine reserve on the east coast of Santa Maria in front of Maia village. 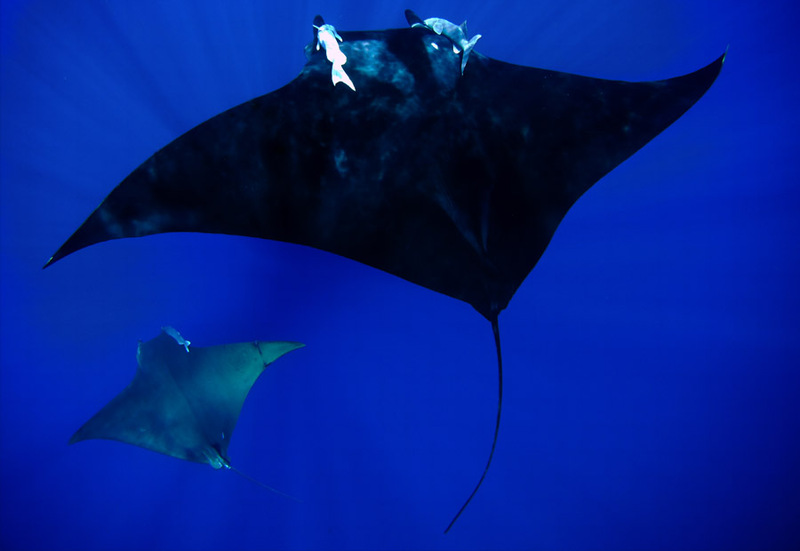 A divesite that offers great possibilities for underwater photographers. 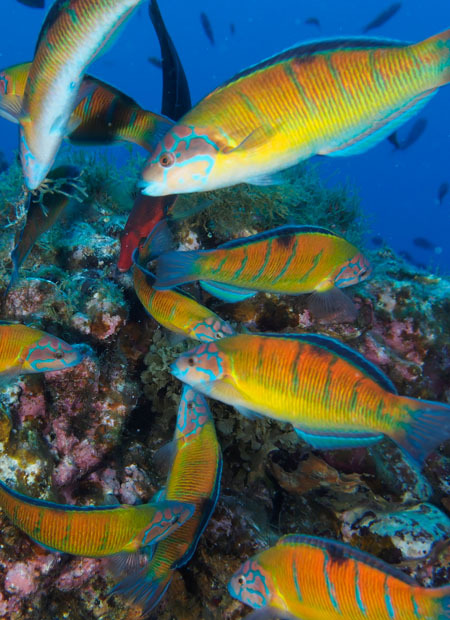 Big schools of barracudas and amberjacks are circling around some smaller and bigger boulders, looking for preys as monkfishes or small sardines. One highlight is the north part of the main rock: it’s completely covered with yellow anemonies (Terrazoanthus sp.). 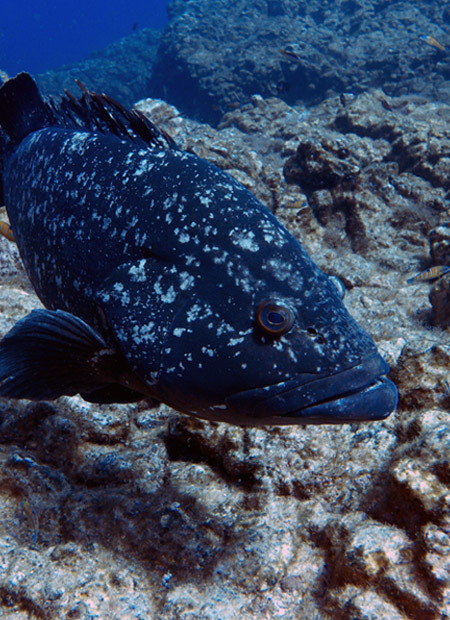 Groupers, huge crabs as the locus lobster (Scyllarides latus), different kind of moray eels and often stingrays can be watched here. The entrance is hidden behind a huge boulder and can only be passsed when the see is calm. Inside of the cave you can see big yellowfin jacks and most probably several stingrays. At some parts only 5m deep, but anyhow not for unexperienced divers. One of the most beautiful underwatercaves within the Azores. 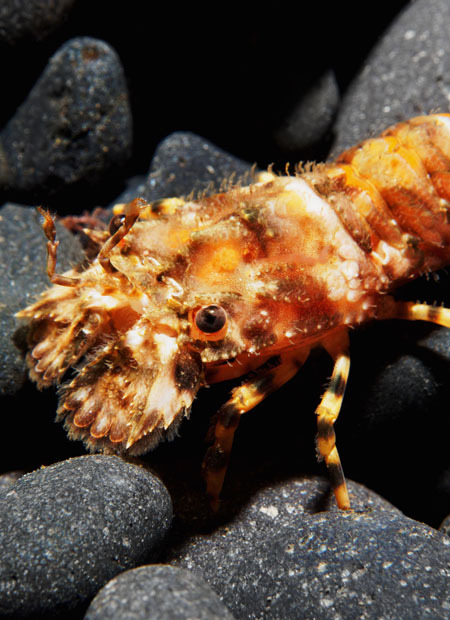 and for macro lovers: the bumblee shrimp (Gnathophyllum elegans) can be found. “Baixa da Maia” also a marine reserve on the east coast of Santa Maria in front of Maia village. 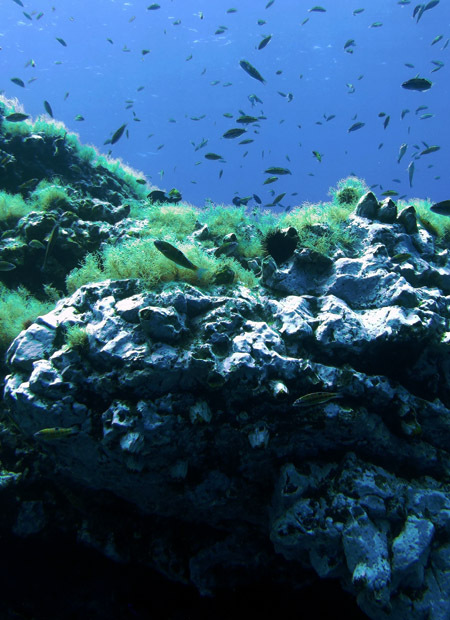 A divesite that offers great possibilities for underwater photographers. 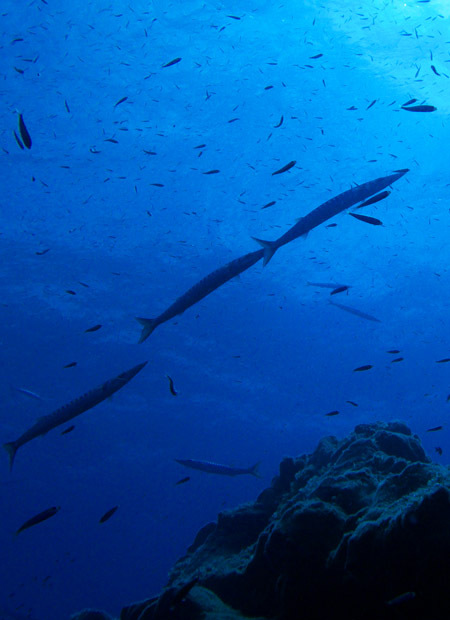 Big schools of barracudas and amberjacks are circling around some smaller and bigger boulders, looking for preys as monkfishes or small sardines. One highlight is the north part of the main rock: it’s completely covered with yellow anemonies (Terrazoanthus sp.). The entrance is hidden behind a huge boulder and can only be passsed when the see is calm. Inside of the cave you can see big yellowfin jacks and most probably several stingrays. At some parts only 5m deep, but anyhow not for unexperienced divers. 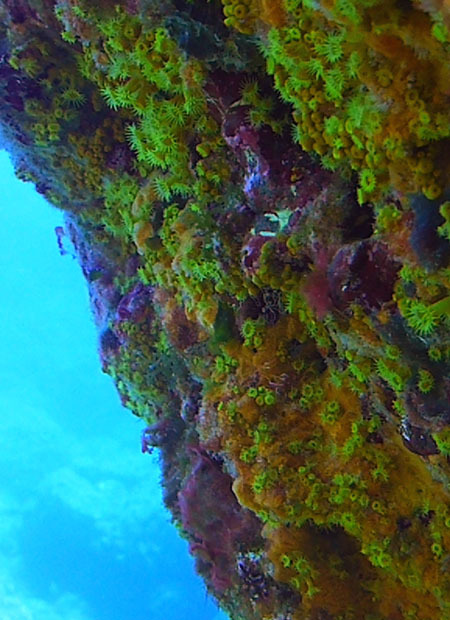 Several entrances/exits, small stalactites, stingrays, shrimps, different kind of lobsters (Scyllardes latus and Scyllarus arctus) and crabs. For macro lovers: the bumblee shrimp (Gnathophyllum elegans) can be found.